Smart Servers offers the most innovative, complete and fully featured Virtual Cloud Server systems available anywhere on the Internet. Always at the leading edge of Virtual/Cloud technology Smart Servers were the original developers of FreeBSD based "Virtual Private Servers" in 1997. We were also first to develop true Virtual DNS Servers and first to offer Reseller Servers which are able to support multiple true Virtual Cloud type servers. All Virtual Cloud Servers include full root access to a complete server system with your own dedicated telnet, web, ftp and email servers, full access to all configuration files, support for unlimited sites and domains, unlimited pop/ftp/telnet/ssh accounts, and even your own Virtual DNS Servers (optional). 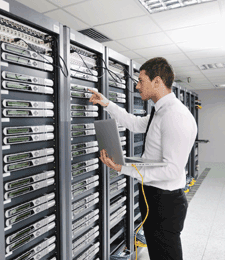 The Smart Servers are hosted in the Level 3 data center facility at 85 10th Avenue in New York City. This is Class A Data Center with multiple redundant fibre channel connections to the Internet. It has been described as one of the most technically advanced buildings in the country. The data center itself is a windowless security hardened facility which is manned by on-site security on a 24/7/365 basis. Google, Microsoft, Yahoo and many other similar companies also maintain a presence here. 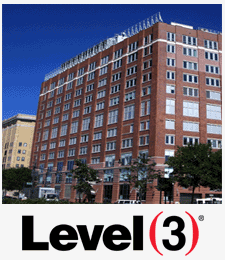 Level 3 has been our network and data center facility partner for more than 15 years. The company maintains the largest data-center footprint of any communications provider in the world and has one of the world's largest and most reliable networks. 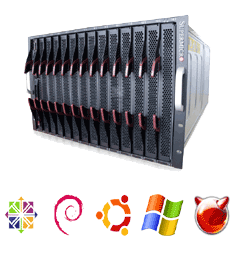 The Smart Servers Virtual Cloud servers can be accessed by all of the usual means including telnet, ssh. ftp. A fully featured multi-level and brandable (your own logo) control panel system is installed on all Virtual Cloud Servers and is included at no extra charge. 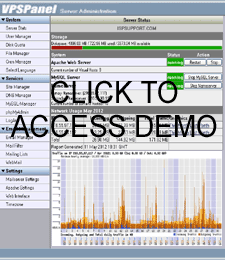 The web interface control panel allows you to manage all aspects of the server including web site and domain setup as well as email and login access account creation (ssh/telnet/ftp). Control panel login access can be set up for all domain accounts. There is an integrated web based email system and graphical website statistics available for all domains. English, French, German, Greek, Italian, Portuguese, Russian and Spanish languages are supported. All Virtual Cloud Servers include full daily backups and multi-level backup archiving. Managed software updates and patches to core software applications such as Apache/PHP, MySQL, Sendmail etc are also included at no extra charge. And peace of mind knowing the solutions you rely are designed, built and maintained by a team of network infrastructure experts and professional system engineers. Supported Sites This is a recommendation only. It's possible that if the hosted domains are either low traffic or "parked" domains the server will handle more than the recommended capacity. Copyright © 1998-2019 Smart Servers. All rights reserved.